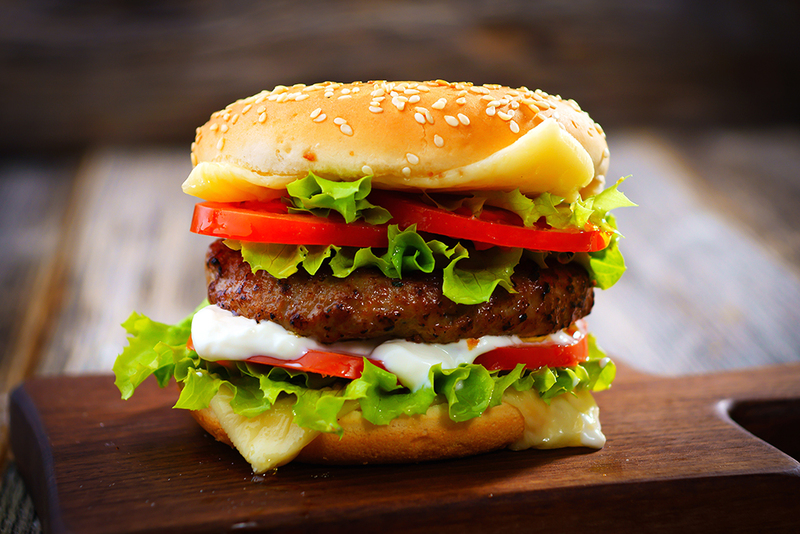 Foodies | South Africa | Is There Such A Thing As The Perfect Hamburger? What’s your idea of the perfect hamburger? Are you the type who makes homemade burgers with your own special recipe and concoctions of ingredients? Or perhaps you’re someone who never orders anything but a classic burger when dining out with friends? Or just maybe you’re a gourmet hamburger aficionado who needs a little more refinement than the common patty, lettuce and tomato in a bun? The way we see it, there are some very clear burger personality types out there. What type of hamburger are you? OK, OK I may have gone a little overboard with the last one but this is exactly why you should never think about/shop for food when you’re hungry. Not that I know why flying ants and dinner come to mind at the same time. Weird. 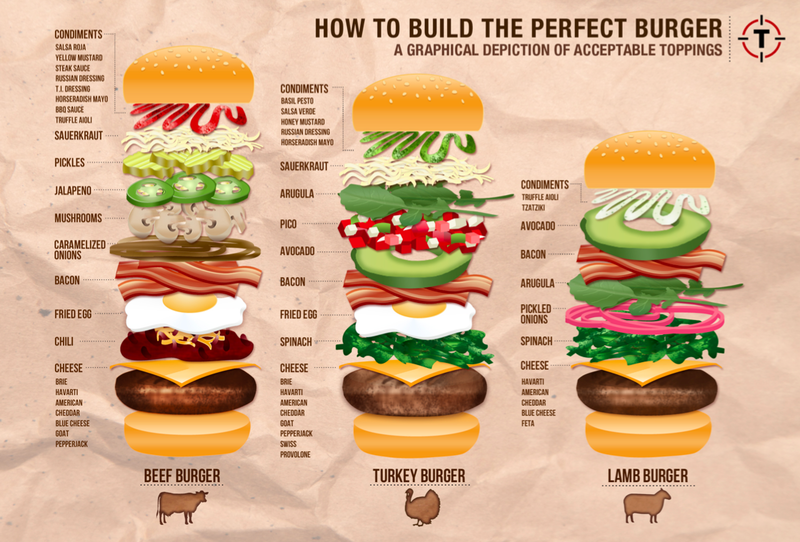 But seriously, if you ever wanted to know how to create the perfect beef, lamb or turkey burger, here’s an all-in-one chart of some of the combinations that work with each type of meat. Yum! Made by Thrillist and Hopdoddy Burger Bar.